She is the author of Imperial Hygiene: A Critical History of Colonialism, Nationalism and Public Health, and co-editor of both Contagion: Historical and Cultural Studies and Medicine At The Border: Disease, Globalization and Security, 1850 to the Present. We spoke to Bashford about the ways in which quarantine can both define and blur borders, the use of vaccination scars as health passports, and quarantine’s role in enforcing social hierarchy and racial prejudice. My work is not always focused on Australia, but I quickly realised there was quite a particular Australian history to be sorted through here. Many diseases that have been endemic and epidemic in other parts of the world, such as cholera, never even arrived in Australia. In Australia, the quarantining of the entire continent came to be actually important in terms of keeping diseases out, but also symbolically incredibly important, as part of the project of producing White Australia. I gradually realised what a rich history there was in terms of thinking about the racialising of the new nation in 1901 as, essentially, a public health project. After that, I became very interested in island spaces as well – places where people with various diseases were quarantined in a much more permanent way. Amusingly, I live right next to the quarantine station in Manly. I’d written about quarantine for a long time – long before I lived there – and it’s just been terrific, living on the place that I was writing about for so many years. IMAGE: The North Head Quarantine Station, Manly, Australia. Photo by Edible Geography. Bashford: Yes, absolutely. The developer gave me a good tour around it just before it opened. It was extraordinary listening to him talk about the concept of putting a day spa on the site of the old hospital buildings, which is were the most infected were kept. 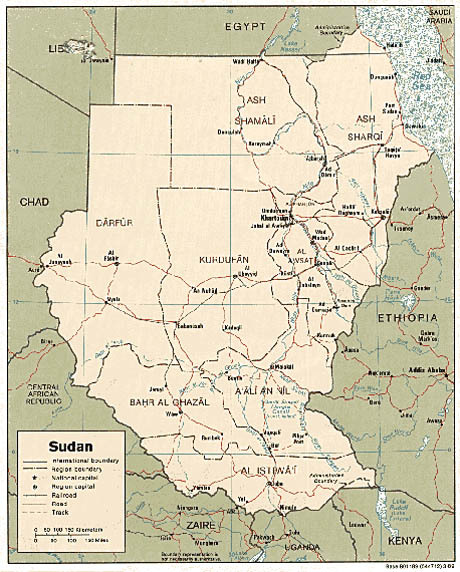 IMAGE: As Egypt and Sudan gained their independence from Britain, the border between the two countries was determined by drawing a straight line from the sea through Wadi Halfa, a quarantine station on the Nile (which is now an underwater archaeological site due to flooding caused by the construction of the Aswan Dam). This is also the case with regional borders. The boundary between the nineteenth-century Orient (as the Near East used to be called) and Europe was the place where cholera was controlled. Various quarantine practices were set up every year in and around the Mecca pilgrimage, because there was constant European anxiety that this mass movement – in a place that is just adjacent to Europe – would introduce cholera into Europe itself. So that boundary, which was not an actual territorial border but, rather, an important part of how Europe defined itself in relation to its most adjacent neighbour, the Orient, was made meaningful through very specific, very grounded, practices of inspecting people, putting them in quarantine camps, and monitoring or restricting their movement. IMAGE: Routes to Mecca, and pilgrims on the Hajj (via here and here). Bashford: Yes – in Imperial Hygiene, I really explored this idea of boundaries at different scales. I structured that whole book spatially. I started with a chapter about smallpox, vaccination, and the border of the body and skin, and I looked at the way that a vaccine introduces disease into the body, in order to create immunity. Then I moved outwards to the scale of the city. 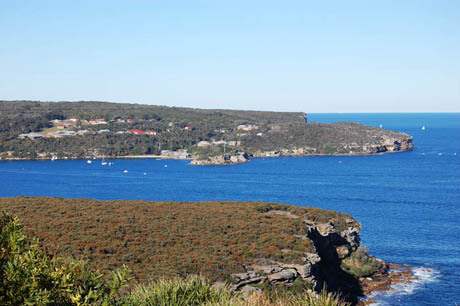 I took Sydney as a place that had certain diseased zones that were quite disordered, and analysed the way in which the establishment of the quarantine station on North Head – in Manly – was an attempt to create clean and dirty spaces within an urban environment. Then I moved outwards again to think about the entire Australian continent – and outwards again to consider international hygiene and quarantine measures, and the way that the entire globe, due to immigration restriction acts over the twentieth century, became criss-crossed by all kinds of lines of quarantine. Edible Geography: In that context, I was particularly interested in your paper tracing the origins of the World Health Organisation and public health as a globally regulated phenomenon back to the International Sanitary Conferences, which were themselves convened to implement quarantine. Bashford: The question of how to manage infectious disease is foundational for the League of Nations Health Organisation, and then the World Health Organisation. In fact, even the large philanthropic organisations, like the Rockefeller’s International Health Board, were attempts to prevent infectious disease, both by quarantine and also by hygiene education. In nineteenth-century Europe, the International Sanitary Conventions and Conferences were, in the first instance, about cholera, and the concern about the annual pilgrimage. Bashford: Airports are places where the demarcations of quarantine lines are very clear, and biological or biomedical terms like “Sterile Zone” still cling to the various clean and polluted zones. “Sterile Zone” doesn’t actually mean sterile zone – it indicates a zone into which only authorized people can go. 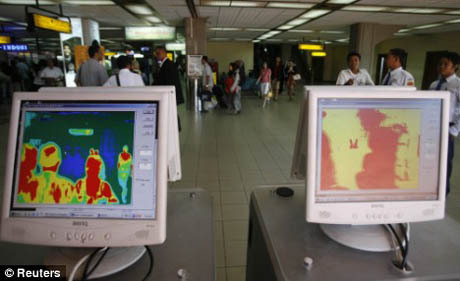 IMAGE: Thermal scanners in the airport arrivals hall, Bali, via. Bashford: What’s interesting is that all of these identity documents – passports, visas, health vaccine certificates, and so forth – only become attached to an individual relatively late in time. Through most of the eighteenth and nineteenth centuries – and into the twentieth century, in some cases – these documents would refer to the vessel on which you arrived into a zone, rather than to you as an individual. IMAGE: Italian Health Passport, via the Disinfected Mail Study Circle. 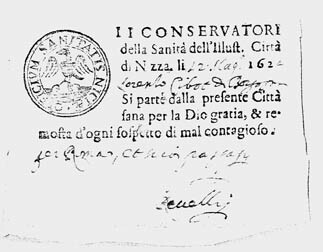 For a ship arriving in Sydney Harbour, for example, there would be a certificate of freedom from disease that pertained to the entire ship, and that would be determined by the route on which the ship had come. If the ship had come to Sydney from London via what was then Ceylon, and if there was known to be an epidemic of cholera or smallpox in Ceylon, then that entire ship would be understood to be diseased and it would be put in quarantine for a certain period of time. I’m very interested in the way that, in the maritime world, the passengers and ship became one body, which could then be categorised as infected or clean, irrespective of the health or otherwise of the individuals on board. 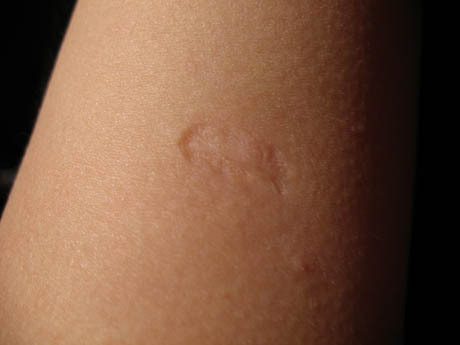 IMAGE: Smallpox vaccination scar, via. BLDGBLOG: I’m also interested in the phenomenon of proto-states testing the limits of their power through bio-political practices – that is, experimenting with how they can control and regulate individual people, and doing so in the arena of medicine. 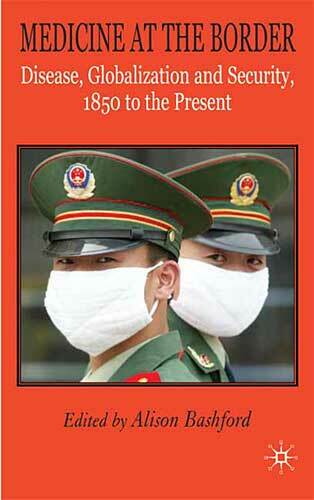 Medical power becomes a kind of stepping stone toward national sovereignty. Bashford: Certainly, the display of a line around a country – and hence territorial sovereignty – can be put into practice very clearly through quarantine practices. That’s where we started our conversation. Immigration restrictions and quarantine practices go hand-in-hand as the two intertwined practices that determine a border as a border for modern kinds of territory. This takes place at an imaginary level. Edible Geography: So quarantine contributes to both a spatial out-sourcing or in-sourcing of the border? Quarantine is also inherently a zone of transition, and a “neither-one-thing-nor-the-other” space between healthy and diseased, inside and out. Ultimately, it seems to both mark and disturb the clarity of the border. In Australia, quarantine took place from the physical borders of the nation outwards – the border was pushed way back to the point of origin of any intending migrant. Most people came to Australia from England, and your certificates of health had to be secured before you even got on the ship. This is completely different to the British tradition, because the UK was not, until after World War II, a country of immigration. In fact, the UK had very, very weak, and sometimes completely absent, quarantine laws. My UK colleagues told me that today, if you have tuberculosis and you arrive at Heathrow airport, you’re not asked to get back on the plane or to get back on the ship as you would be in Australia. Instead, your name and address is taken and you’re asked to see a doctor in your local area. You’re entirely brought within the borders of the country, and then quarantined or monitored. 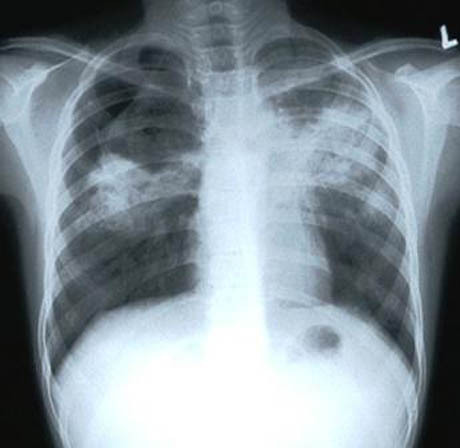 IMAGE: Tuberculosis detected by X-ray, via. These island nations have very different histories of where the border is located. Recent British governments have tried to bring in what they call the Australian model – a system where people get their health checks done at the point of departure. It seems to be much more problematic in the UK than it is for nations that have a long history of rigid quarantine rules. 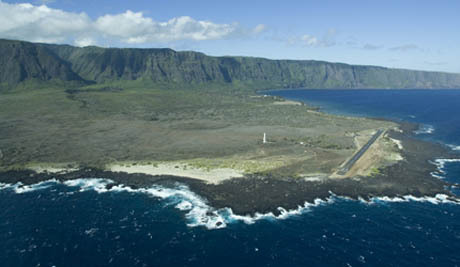 Bashford: Molokai, Hawaii – that’s one of the original leper colonies dating back to 1865. It’s currently managed by the National Park Service, but there’s a community of people with Hansen’s Disease still living there. It’s a fascinating place. It’s an island within a very remote archipelago, and it’s also on a peninsula. It juts out sensationally underneath the world’s tallest sea cliff. The cliff separated the lepers from everybody else, even on the island, and the island itself was clearly chosen to be separate from the other islands in Hawaii. Natural geographies are being put to use here as a way to create a place of quarantine and isolation. 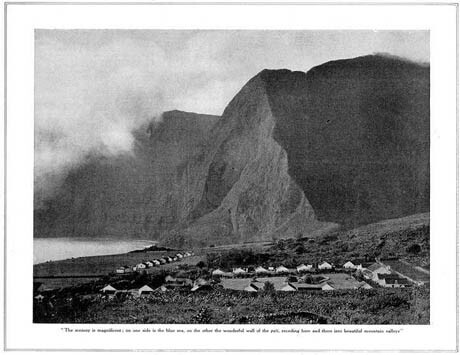 IMAGES: Molokai, via Atlas Obscura, and. In addition, nineteenth-century maps of quarantine stations are fascinating for the way that they demarcate zones even within spaces of quarantine. Usually they are divided by race and class – in the nineteenth century, there is typically a specific building within the quarantine station for Chinese passengers, for example. To me, these intricate divisions of space within quarantine stations capture social divisions instantly, and almost too obviously. 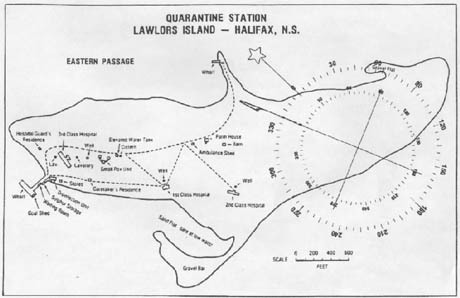 IMAGE: Map of Lawlor Island Quarantine Station, showing 1st and 2nd Class accommodation, via. This entry was posted in Interviews, Landscapes of Quarantine, Uncategorized. Bookmark the permalink. Trackbacks are closed, but you can post a comment.